I seem to be running in colour families these days! 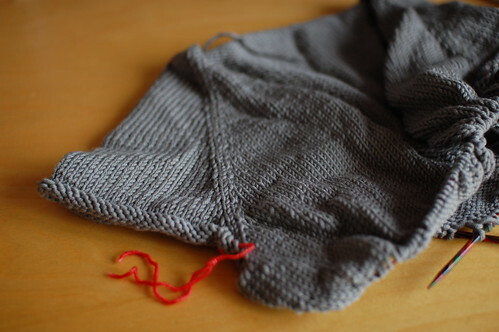 On the needles, a more interesting (and hopefully better-fitting), top down raglan. Mmmm this yarn is so soft! I got it in Paris, it’s Plassard Meri-Cash8. 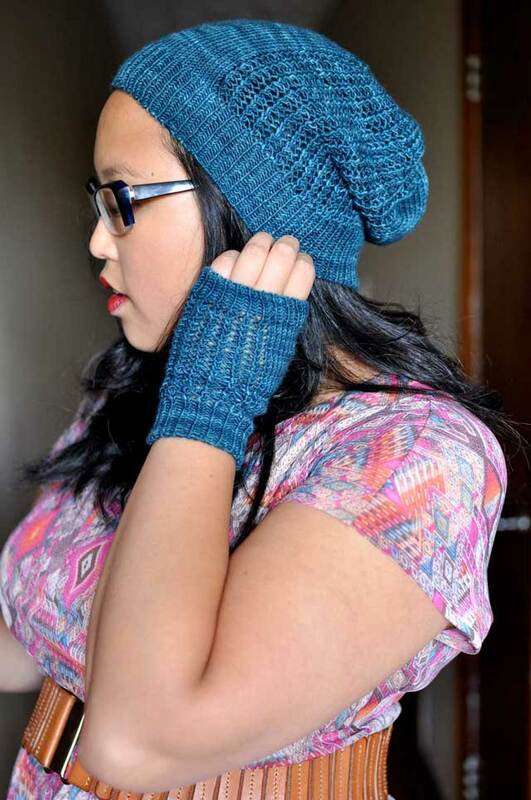 90% merino, 10% cashmere, with lots of plies. 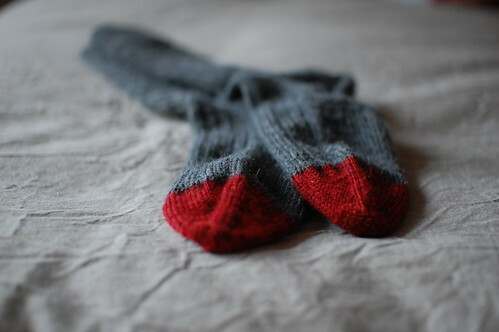 Off the needles, plain ribbed socks, top down, but with red toes! Ultra Alpaca Light. I’ve now got a red pair with grey toes on the go. I’m headed to Ottawa for a weekend away – have a good one! Love the socks, the red toes, really make them. Love the grey socks with red toes! They look so classic. mmmmm–grey, grey, love those shades of grey, especially with the red thrown in! The red toes are adorable. I love the red toes! What an inspired idea. Love those socks. The colors somehow make me want to curl up in front of a fire with a good book! Hi. I live in Ottawa. I’ll be leaving on Sunday for a week in New England, but if you need a drive anywhere here on Saturday, or just want a tour of the sights, let me know at emccarten@gmail.com.